Hubs was out with co-workers and I had the evening to myself plus I had just accomplished a small milestone so I was in the mood to celebrate and in no mood to cook. I’d been saving since last weekend a 6 oz. delectable puck called Seastack from Mt. Townsend Creamery — they are located north of Seattle on the Olympic Peninsula. 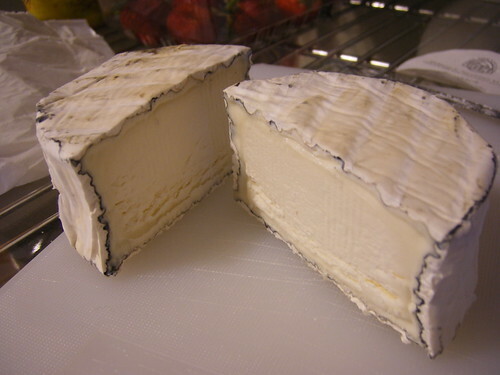 I got a taste of it at the Ballard Farmer’s Market the day after the cheese fest and instantly opened up the wallet. It’s a soft-ripened cow’s milk rolled in a vegetable ash. It was all really satisfying. The cheese is just as wonderful as when I first sampled it. 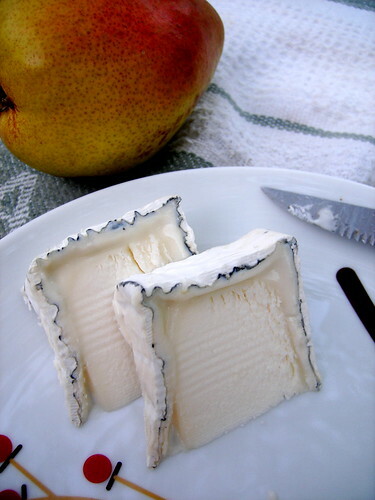 Creamy and a bit runny at the edges with a slightly firm but very edible rind. It also had very slight undertones of fresh grass from the cow but also had that nice touch of blue notes coming from the vegetable ash which I think is one of my latest favorite things. And now I’ve got to keep an eye open for Mt. Townsend Creamery cheeses here in Oregon as I also took away from the Ballard market a wedge of their Trailhead Tomme which me and the husband polished off right quick. It’s a good all-around cheese that does seem perfect for a hike. It really reminded me of a cheese that I ate a lot of and loved in Italy a couple summers ago — a light, very slightly nutty cheese with a few air bubbles scattered throughout. In Italy, our host called it “nostrana” which means ‘ours.’ So, it was their local, everyday cheese which tasted perfect on a baguette with a bit of butter and some fresh tomato and a shake of pepper. And that’s exactly how we ate up the Trailhead in addition to just cutting off slices and enjoying the flavor. Two thumbs up! You sure do know how to enjoy cheese. 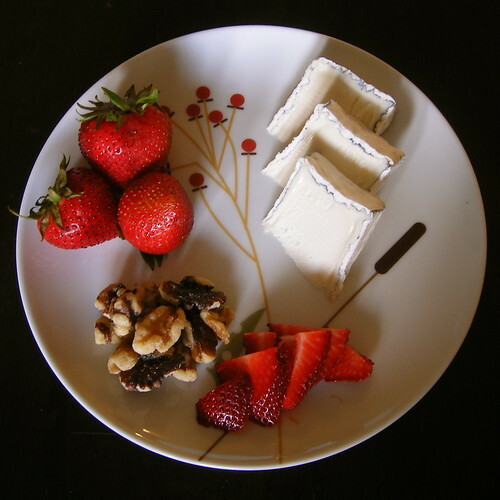 The plating looks awesome and I can’t imagine a more pleasant way to spend the gorgeous weather we are having than some time in the backyard with some good cheese. I know, right? I’m such a nerd with the plating. I got this and the other one with the bird at Greg’s on Hawthorne — I may have to go back and get the whole set. It’s fun to do! I think I need a new camera… so I can take better photos of cheese!! 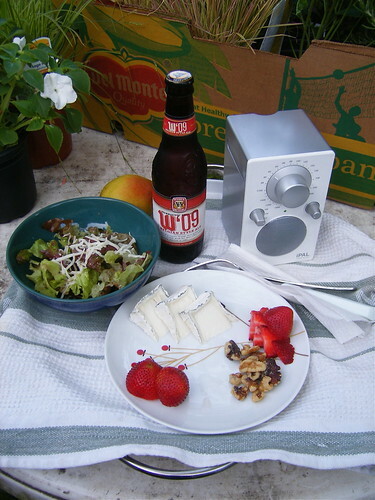 This looks like the perfect meal to me! Let me know if you track down any cheese in PDX from this creamery so I can check it out! I’d love to get a wooden cheeseboard — I haven’t found the perfect one yet in the right price, though.